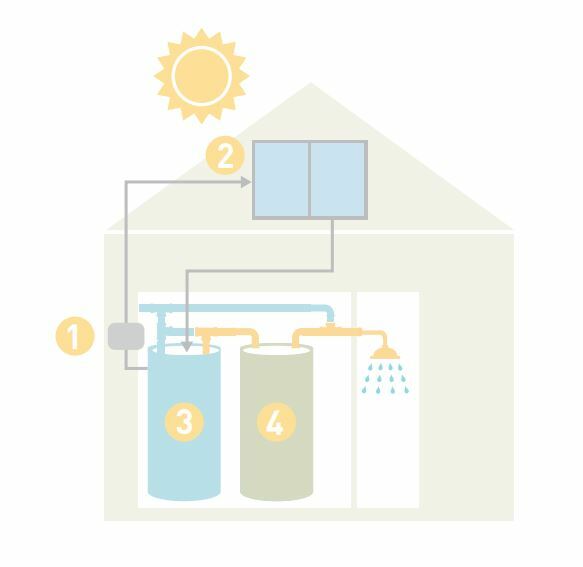 Solar water heating (SWH) systems heat water using energy from the sun in rooftop collectors that generally loop into a solar water storage tank. This additional storage tank adds hot water storage capacity and reduces household energy usage. Monthly savings compared to a typical natural gas–fueled hot water heater range from $235 to $250 per year in cash and about 1.12 tons of CO2 emissions. More cool news? The typical lifespan of a solar water heating system is at least 25 years with proper maintenance, so solar water heating is an investment that pays for itself in the long run. A conventional, single-family residential water heating system is responsible for up to 15% of the total energy load of a house, and up to 50% of total natural gas usage. Solar water heating technology offers a cost-effective way to displace this natural gas consumption and put your family farther down the road towards a sustainable future. 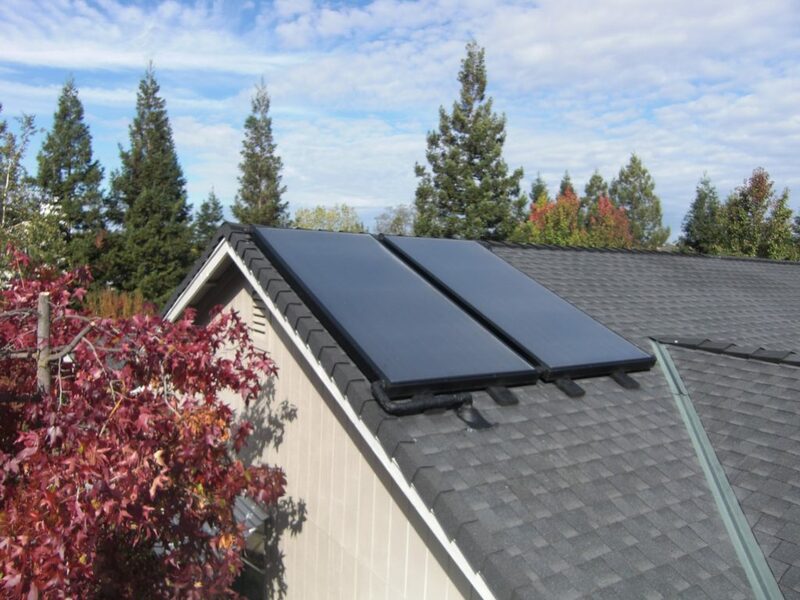 Net costs for a solar water heating system can range from $3,000 – $3,800. Full up-front costs vary depending on your home, system, and contractor. If your water heater is relatively new, a solar water heating system can extend the life of your water heater since it won’t be working as hard. If you have an old water heater that’s close to needing replacement, a solar water heater could be a perfect way to lower your gas bills as well as your CO² gas emissions. 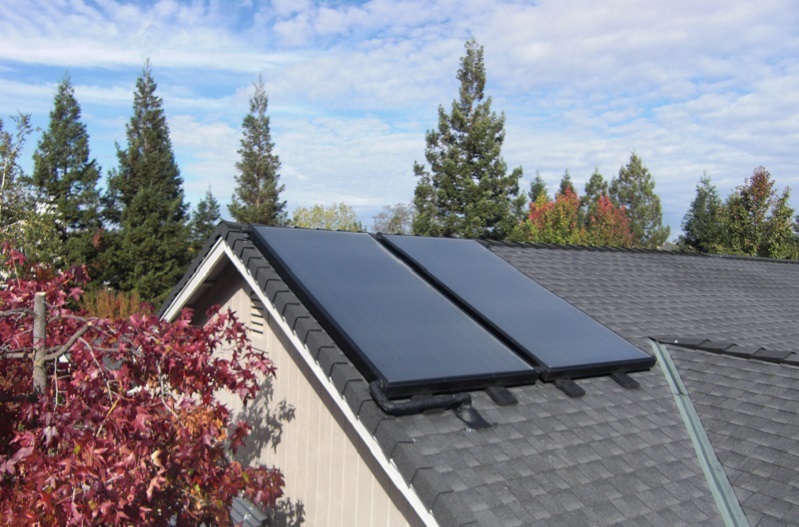 For a limited time, PG&E is offering a cash rebate of up to $4,366 on solar water heating systems for your home (see links below). Homeowners with current natural gas hot water heaters are also eligible for a Federal Investment Tax Credit of up to 30% for systems placed in service by the end of 2019 (see below). This amount is not a cash rebate or deduction from income, but rather a credit against taxes owed – big difference! Consult your personal tax adviser for more information. The final federal incentive amount is based on the expected performance of your system. Your contractor is typically responsible for determining the incentive amount and submitting the rebate application. You are not eligible if you currently use propane or electricity to heat your water. Businesses can take advantage of special commercial rebates as well. The primary factors that influence solar hot water savings include the amount of hot water your home uses (dictated by the number of people in the household and water use patterns), the type and size of the solar water heating system, the orientation of solar roof space, and the price of natural gas, which changes frequently. The average household uses 64 gallons of hot water per day for activities like cleaning dishes, washing clothes, and taking showers or baths, consuming about 235 to 250 therms of natural gas per year. On average, a solar water heating system will replace or eliminate 116 therms of natural gas use per year, or a savings of 50% to 80%. These savings amount to $235 to $250 and about 1.12 tons of greenhouse gas emissions per household per year. Two SunEarth 4’ x 8’ solar water heating rooftop collectors. Photo courtesy: Aztec Solar. You can use one collector for up to two people in a home, but two collectors are recommended for three or more due to increased hot water needs. While it’s easy to heat water in the summer time with intense sun exposure, solar water heating systems are designed to work during the winter as well since the sun’s energy can be collected even on cloudy days. The solar water heating (SWH) approach requires 40% less roof area for panels than electricity producing solar panels. Solar water heaters are very efficient and provide three to four times more energy per square foot of collector. Solar water heating systems typically last 25 years with proper maintenance. In addition to SWH, there’s another way to heat water without natural gas. Electric heat pump water heaters can be powered by a rooftop solar photovoltaic (PV) system, usually requiring five to six panels at about 3 by 5 feet per panel. For information about a solar photovoltaic system for your home, visit the Cool Davis “Rooftop Solar” web site and consider contributing to our Davis community goal of 4500 residential solar systems by the end of 2020. Davis stood at 68% of the total goal as of December 31, 2017. “With utility prices rising every year, and substantial incentives available, there is no better time to consider a solar water heater for your home” said Ed Murray, President and CEO of Aztec Solar Inc. Ed’s company has been installing solar water heating systems for more than 38 years and helped design the solar water heating systems for Village Homes in Davis back in the 1980s. Visit the PG&E website below to connect with Aztec Solar or any of the other experienced solar providers in our region. The end of the year is a great time to install tax credit–based systems for a quick turn around on your initial cash layout, and 2019 is the final year for full federal tax credits. By Jonathan Gemma, Vice President of Sales and Marketing for Aztec Solar, Inc., and contributing member of the Cool Davis Solar Task Force, with contributions by Leslie Crenna. For more information about solar water heating, contact Jonathan at jonathan@aztecsolar.com. How does solar water heating work? 1. A pump circulates a heat transfer liquid from the tank to the roof. 2. Solar collectors absorb the sun’s thermal energy and heat the transfer liquid. 3. The transfer liquid enters a heat exchanger, warming the water in the storage tank. 4. Hot water flows to your existing water heater, which provides backup heating when needed. Image courtesy PG&E.